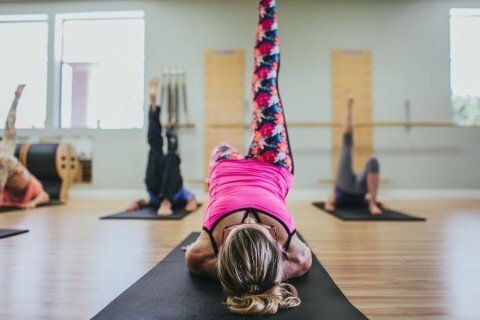 Here at Camarillo Pilates, we believe that mindful movement and a healthy outlook can change the way we live. But what is mindful movement? The concept starts with the idea that the body and mind are connected. Mindful movement promotes body awareness through very focused and precise exercises. "I have been attending classes at Camarillo Pilates since it began. The staff are extremely well trained and able to personalize a program for each client. As an older woman, I have found it greatly beneficial to maintaining posture, flexibility, and movement. The studio also has a welcoming environment." "Cori is hands down the best pilates instructor I have ever met. She provides a great workout, changes the routine with her extensive repertoire of pilates exercises and creativity and offers valuable knowledge about pilates and the body. On top of all that she is so delightful to be around- even when your abs are screaming at you!" "Camarillo Pilates has taken me from knowing nothing about Pilates to fully experiencing its benefits. I am 50-something and very active. Pilates gives me a full body workout with emphasis on my core. Genie's teaching style keeps me motivated!" 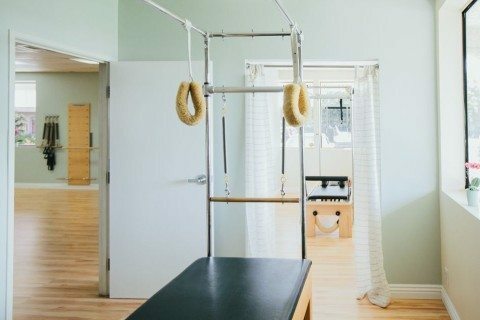 "In my experience with Camarillo Pilates Studio, the instructors have been fantastic, the equipment is up to date and always clean, and the environment is quaint, yet invigorating. I always leave their feeling refreshed and energetic. I am most impressed with the knowledge of the instructors. They are not your every day personal trainers. Love it!" Established in 2002, as the first Pilates studio in Camarillo. Our instructors are experienced, certified, and continually pursue further education in their field. Hours vary, click here for schedule. New Client Special: Sample our Studio Membership for 30 days at just $99!SIGN UP!